With both the UPA and NDA short of requisite numbers, the Nationalist Congress Party has come up with Purno A Sangma’s name for the next president of India. An ally of the UPA, it has sent feelers to the NDA, including the BJP, on the former speaker’s name and is said to be getting a “positive” response. “He is a Catholic and a tribal from the Northeast. We have never had an occupant of the Rashtrapati Bhawan with such descriptions,” a senior NCP leader told The Sunday Express. The presidential elections are to be held in July. Among others, the names of Vice-President Hamid Ansari, Finance Minister Pranab Mukherjee and Lok Sabha Speaker Meira Kumar have been doing the rounds. 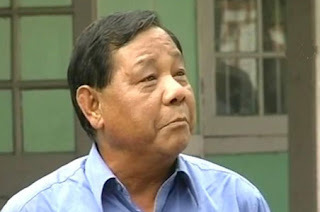 NCP sources claim support from a section of the BJP to Sangma’s name. However, this section reportedly wants somebody like BSP supremo Mayawati or Samajwadi Party chief Mulayam Singh Yadav or Mamata — all from parties whose support is vital to the UPA government — to propose Sangma’s name. NCP sources said it too would not propose Sangma’s candidature, preferring that some other party does the same. NCP chief Sharad Pawar’s equation with politicians across party lines could prove to be a big factor in Sangma’s favour. What may also rally other UPA constituents around the NCP is the fact that Pawar has, of late, been targeting the Congress over not following the coalition dharma. Senior SP leader Ram Gopal Yadav had said at the Idea Exchange programme of The Indian Express recently that the party would propose a name to the Congress for president. While the fact that Sangma had walked out of the Congress along with Pawar over Sonia Gandhi’s foreign origin in 1999 could become an issue for Congressmen, the former Lok Sabha speaker has mended fences with the Congress president. In 2009, he had called on Sonia to apologise for what had happened a decade ago. On Hamid Ansari, whose candidature the Congress is considering, the party hopes to get the Left support. It was the Left that had proposed his name for the vice-president’s post. However, the same factor could turn crucial ally Trinamool Congress against him given Mamata Banerjee’s opposition to anything remotely linked with the Left. However, Mamata may find it difficult to oppose the candidature of a minority community member, Congress strategists assess. Another name around which political consensus could be built is that of Pranab Mukherjee, However, the Congress high command has not been enthusiastic about his candidature. While Meira Kumar is also said to be a contender, Congress managers are not sure whether a consensus could be arrived on her name. In an electoral college of 10,98,882, the UPA and those likely to support it make up 4,63,770 votes, as per a Congress calculation. These include Congress (3,31,131), Trinamool (48,044), NCP (24,060), DMK (21,783), RJD (8,934), JD-S (6,138), National Congress (5,556), RLD (5,204), JMM (4,757), IUML (3,040), Kerala Congress Mani (2,076), AIMIM (1,744) and LJP (1,303). After the recent UP Assembly elections, the SP has 68,771 votes, the BSP 43,777. If Mamata were to oppose Hamid Ansari as president, the UPA could bank on the support of Left parties (CPI, CPM, RSP and Forward Bloc), which together have around 52,000 votes.